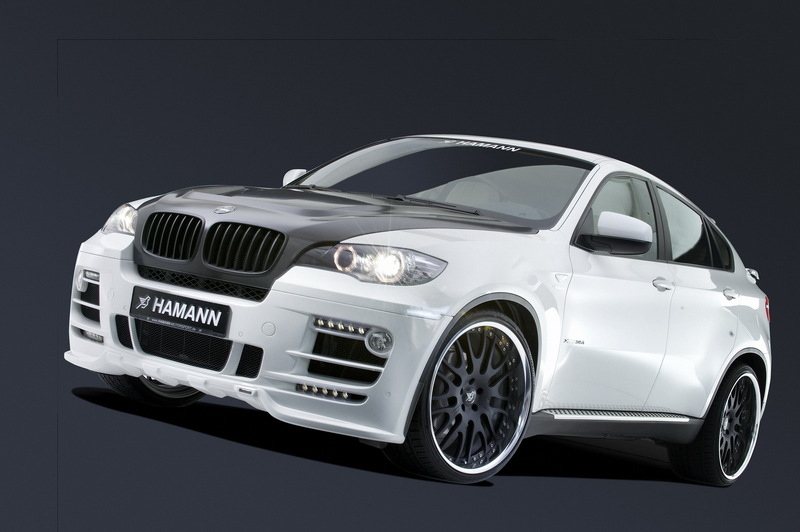 The german tuner Hamann finally revealed the details on their latest modified BMW: the X6, a car which is a perfect mixture between an SUV and a sports coupe. They offer a new body kit that has a front skirt with LED daytime lights, wide side skirts, a new rear bumper, a small rear wing and 23″ Design Edition Race rims. Customers could choose a bigger or smaller rear spoiler and they could also order a new hood made from carbon fiber. The unique body kit designed by Hamann has perfect aerodynamics and generates a maximum airflow over the car silhouette. 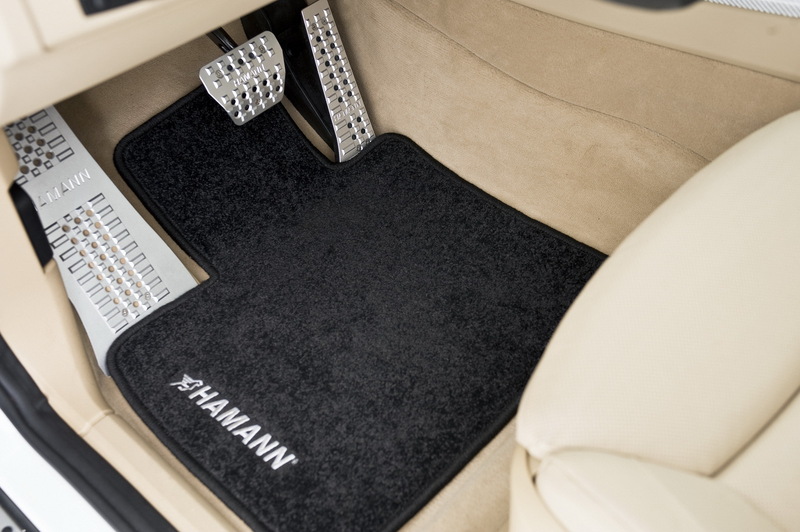 Hamann BMW X6 has high-quality aluminum pedals, sport steering wheel and a lot of carbon fiber insertions in the car’s interior. But the guys also wanted to boost this car’s performances and they prepared a couple of improvements for all BMW X6 versions. The x6 xDrive35i has 360 HP and it could reach a top speed of 275 km/h after they canceled the speed limit. The diesel xDrive30d also received a small power boost and it’s engine has 265 HP, while the xDrive35d has 320 HP and a maximum torque of 660 Nm. Engineers from Hamann Motorsport are still working at the performance tuning kit for the xDrive50i and it should be done until the end of this year. 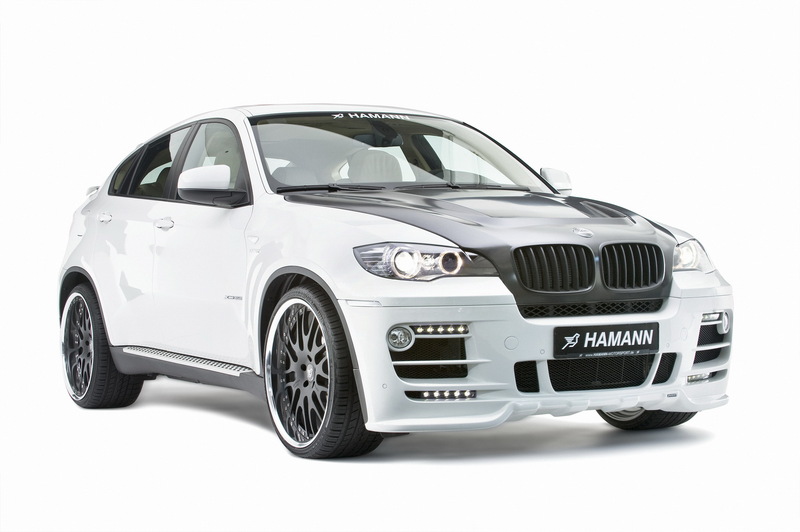 These modifications made by Hamann make this X6 stand out far beyond a vast array of SUVs. Their project is luxurious and aggressive and it would turn a lot of heads on the street.